Ugandan Police Raids Offices of Two Newspapers Amid Reports That President Museveni Was Grooming His Son To Succeed Him. 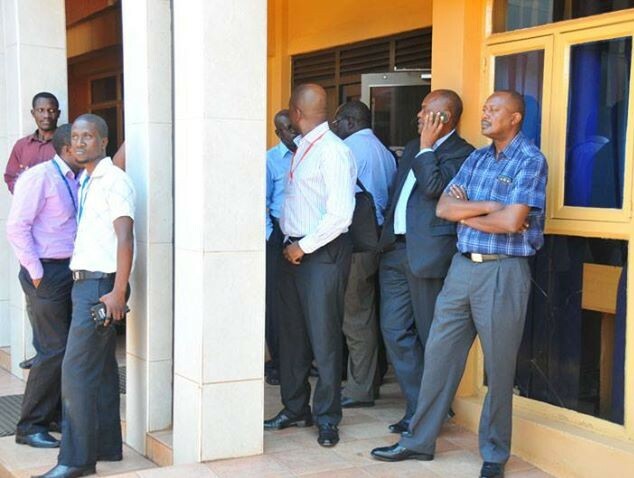 Ugandan police have raided the offices of at least two newspapers [Daily Monitor and The Red Pepper] following reports that President Yoweri Museveni is grooming his son to succeed him. Police in Uganda have forcibly entered the offices of a semi-independent newspaper to search for evidence against an army general who questioned the president’s alleged plan to have his son succeed him. 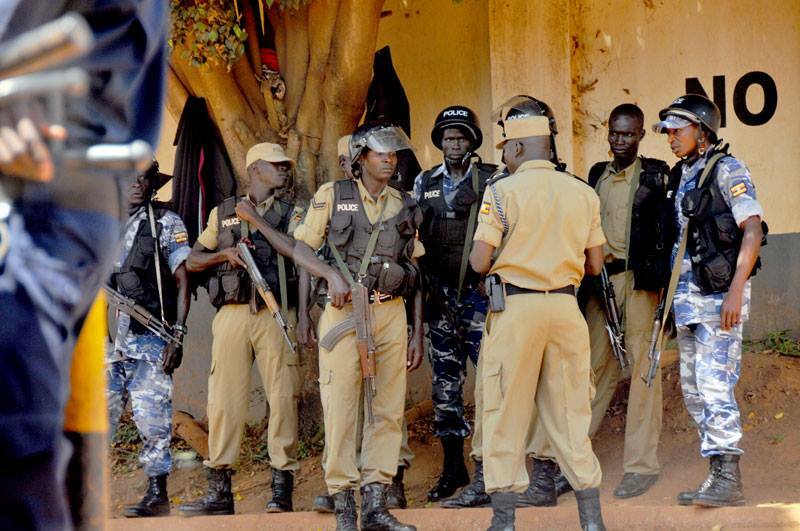 The Daily Monitor’s political editor, Henry Ochieng, said about 50 plainclothes police entered the paper’s premises in the capital, Kampala, on Monday. “There are lots of plainclothes individuals inside the premises. You can come in but you can’t leave,” he said. Alex Asiimwe, the newspaper’s managing director, said in a statement that the company was “horrified by this act”. The raid comes amid a heated public debate about a letter sent by General David Sejusa to the Internal Security Organisation asking for a probe into reports that there were plans to assassinate officers opposed to President Yoweri Museveni’s son succeeding him. The Daily Monitor obtained and published Sejusa’s letter, which has been dismissed by the army’s top leadership as propaganda. Three journalists from the newspaper have since resisted efforts by the police to have them submit their copy of the letter and to explain how they obtained it. Sejusa, who is currently travelling in Europe, has since written another letter in local newspapers alleging the president had planted a man in his office to spy on him for three years. Police spokeswoman Judith Nabakooba said the police secured a warrant to search the newspaper’s premises for Sejusa’s letter. “The journalists had been told to give to the police a certain document but somehow they did not hand it in,” she said. Alex Atuhaire, the news editor with the paper, said the action was “obviously related” to Sejusa without giving further details. He said police were treating the newsroom like “a scene of crime”. 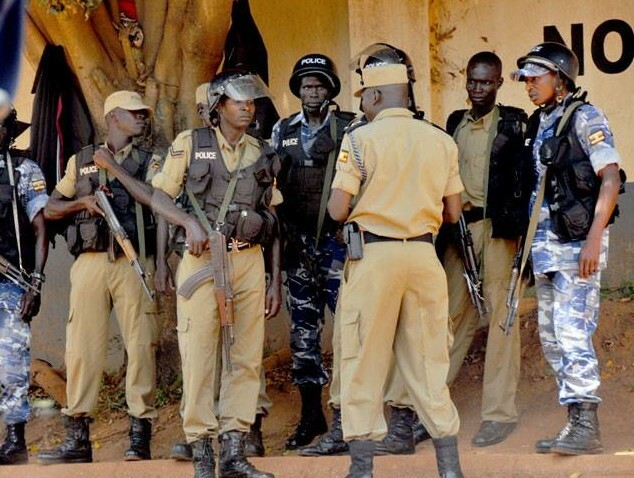 Jackie Asiimwe, an activist with the women lawyers organisation, FIDA, told Al Jazeera from Kampala that police stood guard outside the newspaper premises. “They are searching the premises,” she said, adding she and her colleagues were standing outside “in solidarity”. Daily Monitor has been on a collision course with the government which has tried to rein in private media outlets determined to expose official wrong doing. In 2002, the paper was shut down for nearly two weeks after it published a story saying that an army helicopter had come down in northern Uganda, where rebels of the Lord’s resistance Army (LRA) were fighting the government. Daily Monitor was reopened but after being forced to tone down its criticism of the government. Under Museveni’s government, the media has enjoyed some degree of freedom, but hard-hitting reporting about corruption has led to the prosecution and harassment of journalists. Museveni seized power in 1986 after waging a five-year guerrilla campaign and changed the constitution in 2005 to remove term limits, effectively setting the stage for him to run for president indefinitely.